此版本起僅適用於Intel CPU的Mac，不再支援任何PowerPC CPU的Mac電腦。 本版本在OS X Mountain Lion发布后仍继续发售，价格降为$29. ^ What Is the I/O Kit?. IOKit Fundamentals. Apple considered several programming languages for the I/O Kit and chose a restricted subset of C++. 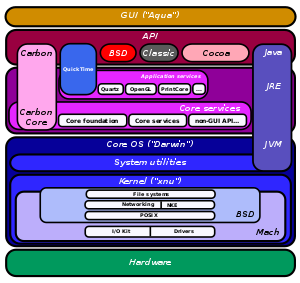 ^ Cocoa - OS X Technology Overview. Apple. [2013-06-08]. ^ Mac Technology Overview (PDF). Apple. [2013-06-08]. ^ macOS Mojave 10.14.4 (18E226). Apple.com. ^ Desktop Operating System Market Share Worldwide. StatCounter. [2018-10-02]. ^ macOS Mojave. Apple (香港). [2018-09-26] （中文（香港）‎）. ^ Singh, Amit. Architecture of Mac OS X. What is Mac OS X?. [2006-04-07]. ^ Apple Switching to Intel - Slashdot. apple.slashdot.org. ^ Mac OS X Developer Preview - Mac Guides. guides.macrumors.com. （原始内容存档于2015-09-11）. ^ uMac - University of Utah - OS X History. www.macos.utah.edu. ^ Apple - Mac OS X Lion. 蘋果公司. [2011-11-11]. ^ macOS Mojave. 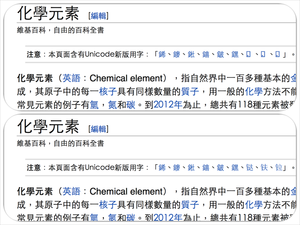 Apple (中国). [2018-09-14]. ^ Biallas, Sebastian. PearPC - About. pearpc.sourceforge.net. [2017-02-18] （英语）.